REEVES-Watercolor Paint. This colorful set of paints is a great asset to have around the house! The paints have a good color strength; transparent finish; are highly pigmented; have good lightfastness and permanence; and have smooth consistent color washes. 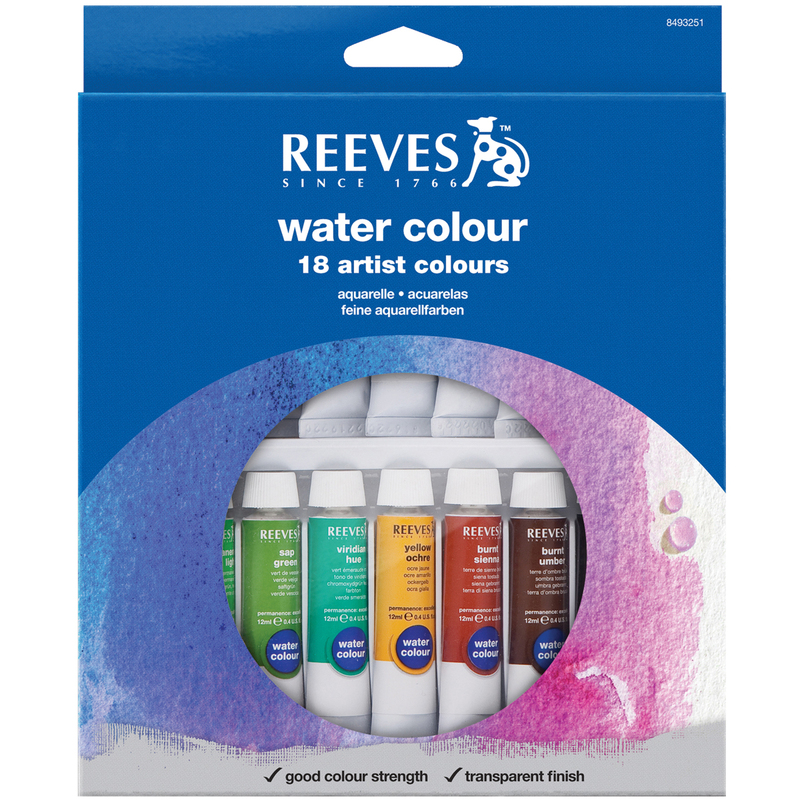 This package contains eighteen 10ml tubes of watercolor paints in a variety of colors. Conforms to ASTM D 4236. Imported.